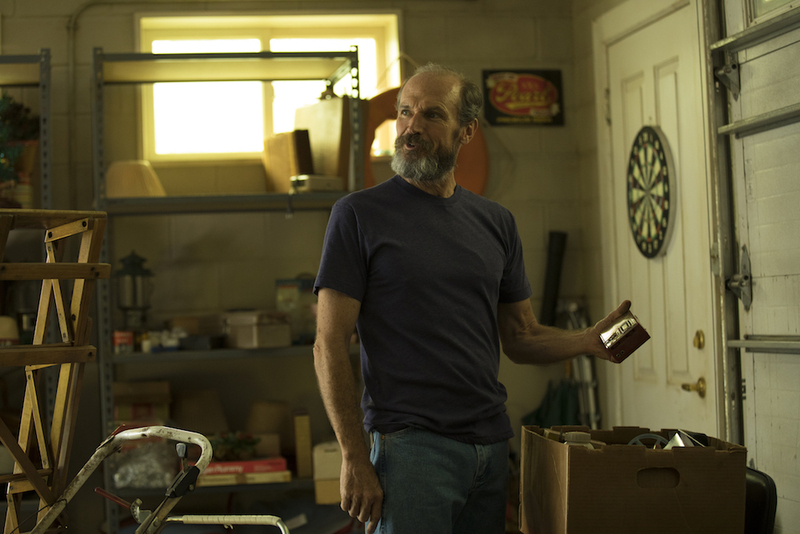 There aren’t a lot of TV shows that could get away with ending on a Peter Gabriel song — especially “Solsbury Hill” — but then there aren’t a lot of shows like “Halt and Catch Fire.” From the second the familiar strumming started, tears flowed and the question of how AMC’s one-of-a-kind drama series would end was answered: It ended as it began, literally and figuratively. In a callback to the first episode, Joe MacMillan (Lee Pace) walks in front of a classroom and says, “Let me start by asking a question.” Anyone who remembers the pilot episode knows that question will be, “How many of you desire to be computer engineers?” And perhaps Joe is hoping to see the next generation of Cameron Howe (Mackenzie Davis) walk in, plop down in the back row, and impress him. Or maybe he’s hoping the real Cameron will show up, as indicated by the photo he keeps of her in his office. It seems even more likely Joe isn’t thinking about the immediacy of what’s next at all. What Joe hopes to accomplish as a humanities professor rather than a roaming sales executive is first hinted at from his meeting with Dale Butler (David Wilson Barnes) earlier in the episode. Dale is another callback to the pilot, as he led the IBM lawyers into Cardiff Electric when Joe first started the P.C. program there. Dale and Joe used to work together at Papa MacMillan’s company, and, at the time, Dale represented the evil allure of big business. Decades later, hearing Dale say he “can’t wait to see what you do next,” has a profound effect on the dreamer. What will he do next? For that, we need to backtrack again. Joe largely took a backseat in the finale, and the episode was better for it. Though he remains a fascinating and flawed former antihero — one who was born in an era where men broke bad but who became his best self after he was broken — focusing on Cameron and Donna (Kerry Bishe) in the last hour was indicative of a series that adapted with the times. “Halt” may have commenced as the antihero trend was peaking, but it caught fire by putting women first. And even with all the changes in Joe’s life, altering the motivation for his question without losing its relevance, the final scene still feels connected to the women’s arc; primarily, it harkens back to Donna’s moving speech from earlier in the episode. As Cameron watches in awed silence — so impressed she soon forgets where she’s standing and does an amazing prat fall into the pool — Donna rallies the women who have gathered at her home. This so accurately describes the divisive, combative relationships forged and broken throughout “Halt and Catch Fire” it’s hard not to well up for nostalgic reasons alone. But Donna is so inspiring, so commanding, and so very clearly speaking to Cameron, the by-all-means climactic speech keeps viewers in the moment. And that’s before she even reaches her kicker. The project gets us to the people. What an incredible line to deliver for a series that’s become such an honest, meditative look at people more than their product. Moreover, the episode itself earns the sentiment. Cameron spent all day helping Donna and her daughter fix Haley’s (Susanna Skaggs) computer. That they couldn’t fix it had no consequence on the episode; it was about what they accomplished between each other while working. The idea crept up again when Cameron and Donna imagined their company, Phoenix, and a neon light above them grew bright and then faded out. Is that what they’ll build with Donna’s new idea? Is that what’s next for the women? Is that what’s next for Joe, who’s forever linked to that family, no matter how far he moves from them? Perhaps. One could even say “probably.” But what matters are the people. The projects got Joe to Cameron; Cameron to Donna; Donna to Gordon, who’s recorded voiceover was a nice touch in an episode otherwise missing its fourth cast member. “Halt and Catch Fire” brought us these people, and it’s doubtful we’ll ever see a better version of them.